The stamp I used was Mark's Finest Papers & Stamps Glad Glads. I used distress markers on the stamps then stamped the paper. 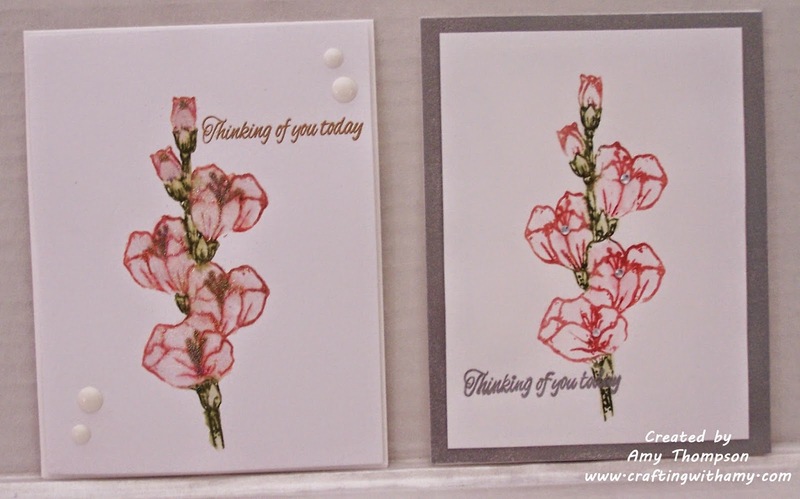 I used some sparkle embossing powder, some enamel dots on the left and jewels on the right card. I used some gold embossing powder on the left and silver embossing powder on the right.